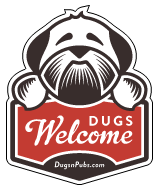 Dog friendly pub in the south side of Glasgow serving food Tuesday-Sunday. Southside bar and kitchen by the duo behind the Left bank and the Two Figs. Drawing on the best of the left bank and two figs, the Bungo is located in the heart of Strathbungo in Glasgow’s vibrant Southside. Our menus include bar snacks, smoothies, cocktails, coffees, brunch, lunch, all day mains and an evening menu and an extensive range of wines available by the glass. The butterfly and the pig at The Corona’s tearoom will provide diners with traditional Scottish breakfasts, afternoon and high teas with a fully licensed bar for those glasses of bubbly or cocktails. Rouken Glen Park is a fantastic, family friendly, greenspace located within East Renfrewshire to the South West of Glasgow. There are a total of 27 dog friendly listings in the South Side category. Please log in, or sign up as a member to view all listings.